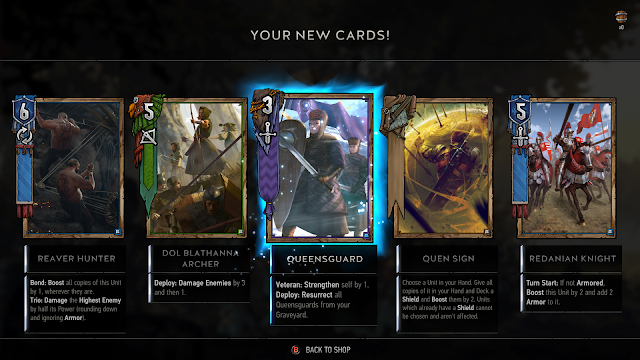 The idea of Gwent is to have the most amount of military power on the board, but this comes with a twist, you have a deck of 25 total cards but only 10 will be generated for you to use at the beginning of the game. There are no in match card draw's, no other way to accrue more cards other than the 3 mulligans you get before the games starts and the extra mulligan before rounds 2 & 3 and there it no mana requirements to play cards. You really do have to work with what you've been given and have a few different game plans as once you've played a card it doesn't transfer over into the next round. All matches are best of three so to rule out RNG as much as possible and it seems to work really well. There are 6 decks that you can choose from and each is a representative of the different regions within The Witcher realm. 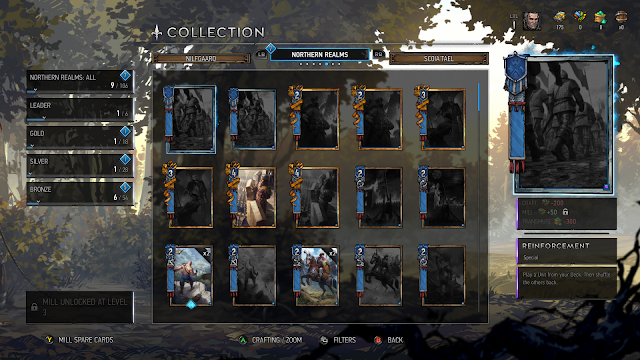 Each deck has there own specific cards that represent melee, long ranged and siege parts of their armies. 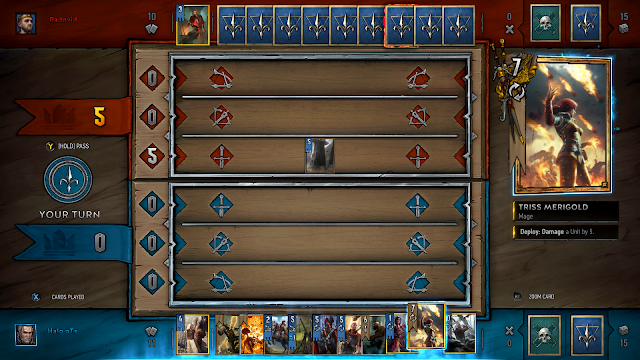 Factions are Gwent's versions of hero's, you can only use cards from this faction, each deck is 25 cards containing 15 bronzes (3 copies max), 6 silver (1 copy max) and 4 golds (1 copy max). You do have special cards as well, these are leaders of each factions or special characters (Such as Vernon Roache or Geralt) they will have a gold boarder around them and are immune to most card effects that have some form of ability or another. There are also special effect cards that can change the board in your favour. There are many ways that you can build your card collection, you have challenges which helps unlock cards for you to use and to create new decks. It also provides knowledge about the regions to give you more background into them, such as their strengths and the ability to unlock their leaders. You're also able to obtain cards using in game currency which is Ore, card barrels cost 100 Ore and contain 5 cards per pack at least a rare card, first 4 are random and 5th is chosen between 3 different cards. It will show whether or not you own one of the three options for the 5th card. Movie cards are like special ones and are animated when you view or play them. 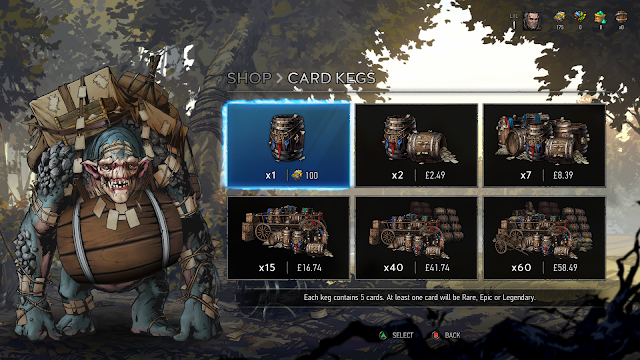 Finally you're able to mill cards into scraps, you then use these scraps to create new cards that would be beneficial to you. 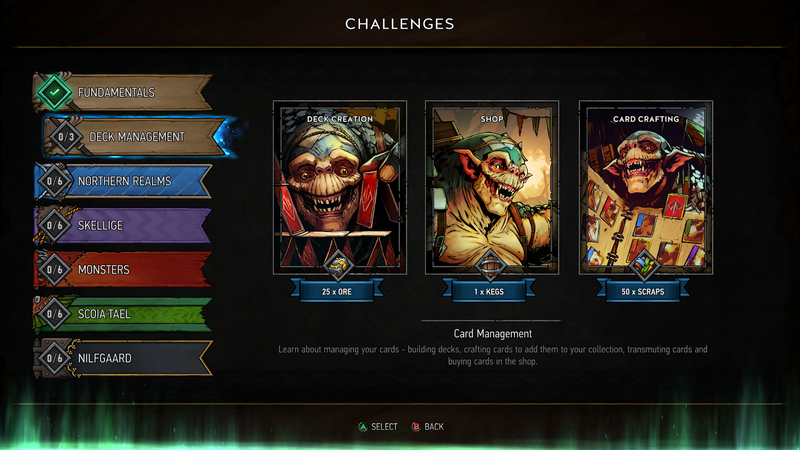 Although Gwent is currently in the open beta stage it has multiplayer where you can play against others single player to improve your play style a reward system that you can use to improve your in game avatar and a leaderboard so you can see how you compare against the best and your friends. 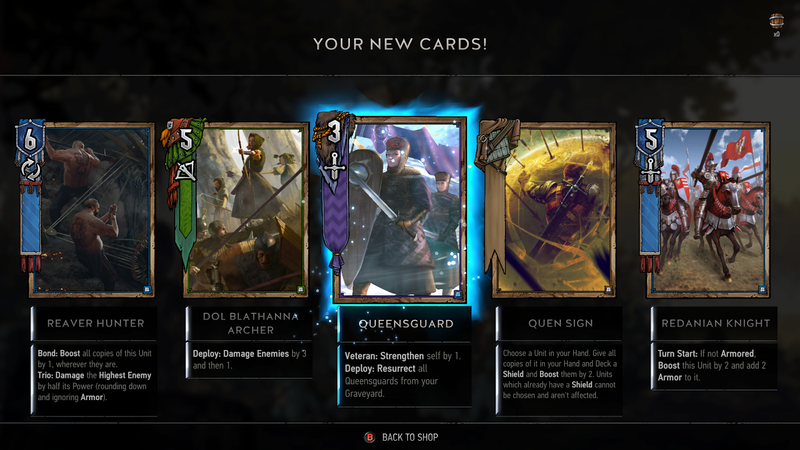 Gwent seems to be a very well thought out game that has every chance of going far in the esport scene. I'm pretty excited to see how it progresses and if it will be able to take over my love for Hearthstone. For now though, its definitely made me want to play both Assassination of Kings and Wild Hunt.